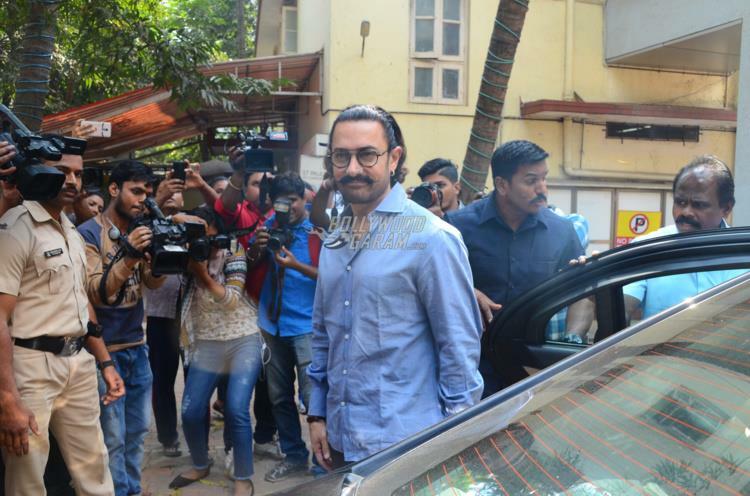 Superstar Aamir Khan, who is currently shooting for the upcoming film Thugs of Hindostan, launched Rajkumar Hirani’s wife Manjeet Hirani’s book How to Be A Human, at an event in Mumbai on March 5, 2018. 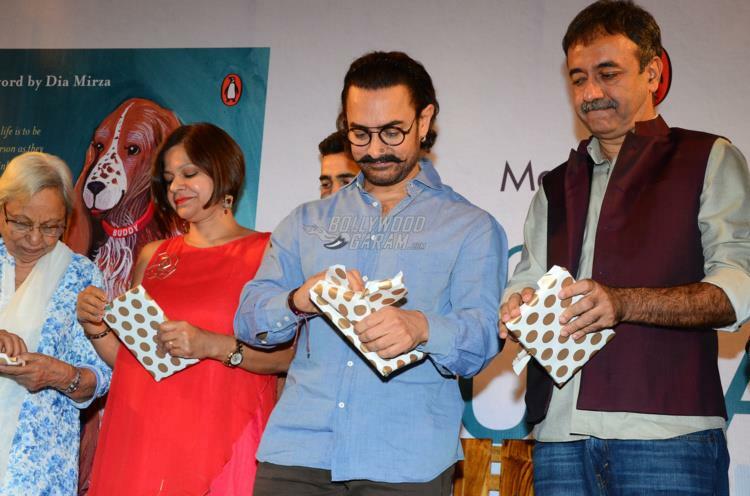 The book is based on a dog which was adopted by the Hirani family from the sets of PK. 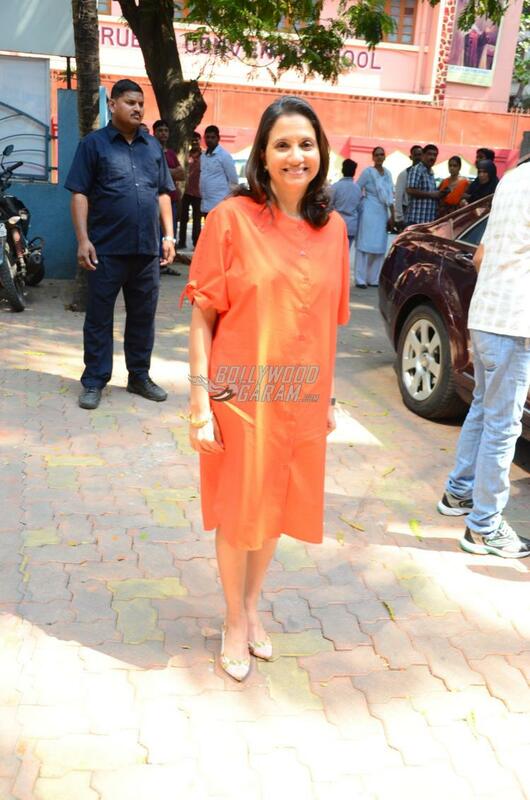 The book launch event also saw the presence of Anupama Chopra Manjeet, Rajkumar and others. 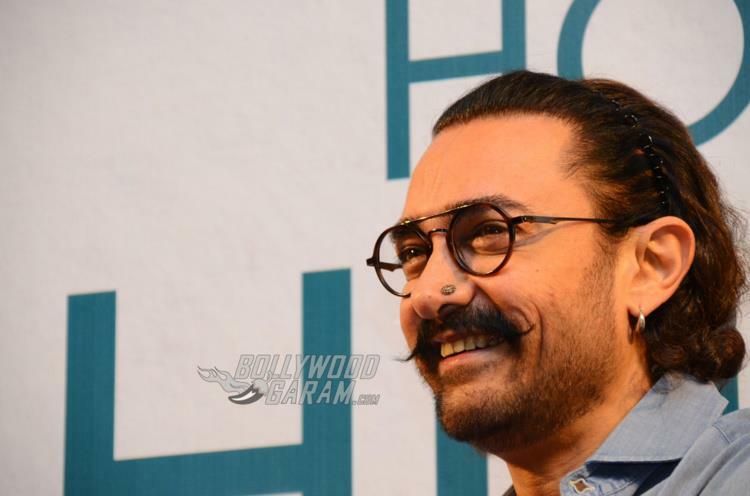 Aamir at the launch event shared his experiences with his pet and how his pets are fond of him. 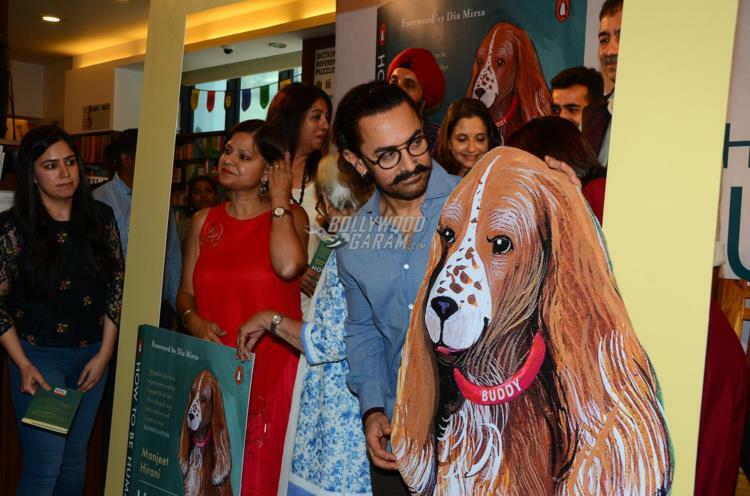 Author Manjeet spoke in length about the dog and her experience with her pet Buddy Hirani. 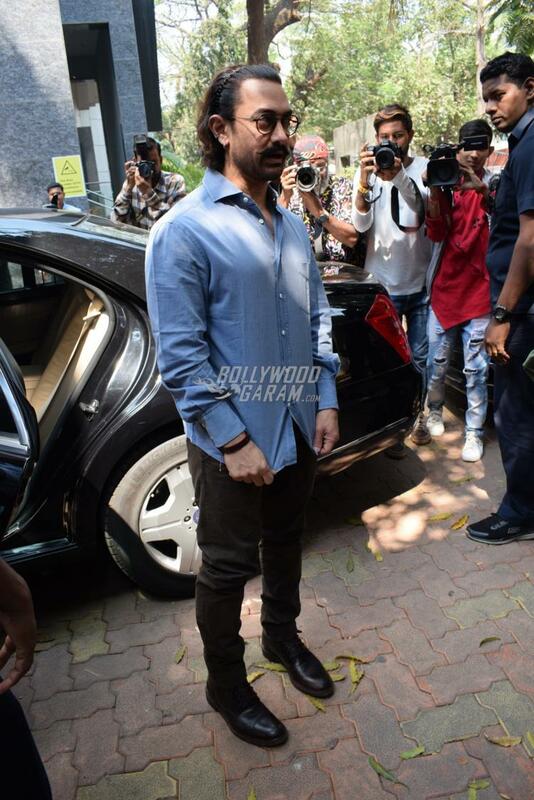 Aamir for the launch event looked cool in a casual blue shirt and black trouser. 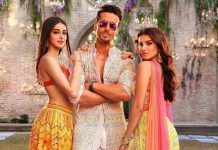 Manjeet by profession is an airline pilot, speaker and an influencer and has also wrote about parenting, attachment and karma in her book. The author has also written about how having a dog in the house can change the a person’s perspective towards life.